We are a chain of quality hotels in beach-side and eco-tourism areas. 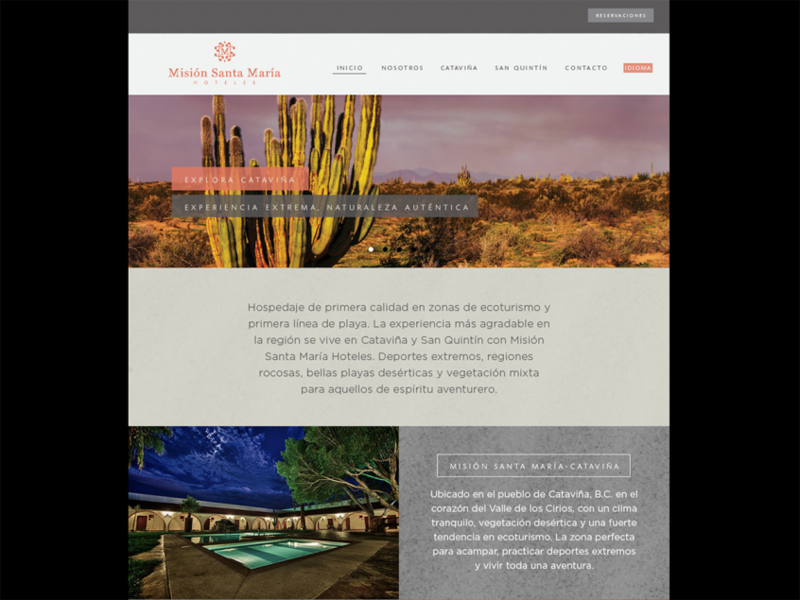 The most pleasant experience in the region is enjoyed in both San Quintin and Cataviña with Misión Santa Maria Hotels. We have extreme sports, rocky areas, beautiful, deserted beaches and mixed vegetation for those with an adventurous spirit. We believe in accountability, a passion for a job well done, and providing excellent performance and guidance for the satisfaction of our customers.